If you are a pool owner or are going through pool operator training, you are probably familiar with algae. Algae is a simple, non-flowering plant. It is part of a large group that includes the seaweeds and many single-celled forms. 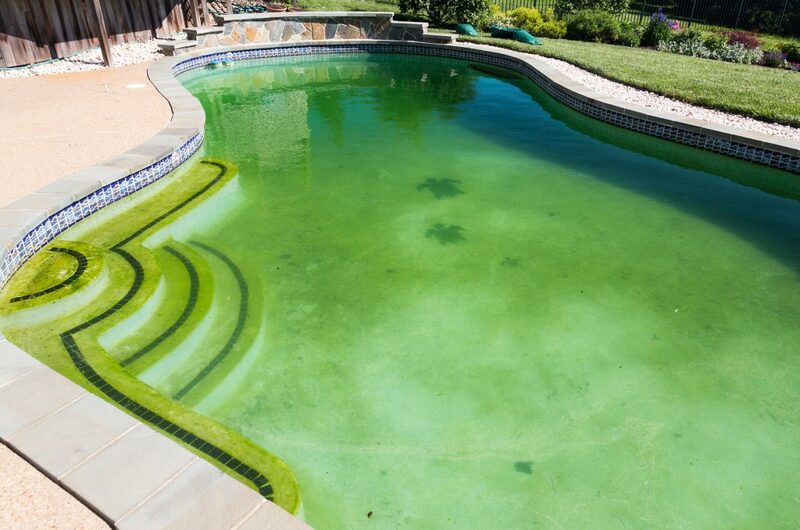 When it comes to pools, algae is essentially green gunk. 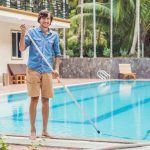 While algae in a pool or spa isn’t necessarily dangerous in most cases, it poses unique safety risks at aquatic facilities. Understanding what algae is and how to remove it is essential to operating a pool or spa. There are thousands of species of algae that can grow in a pool or spa. The spores may be carried in by the wind, a swimmer or even the source water that the pool or spa is filled with. Algae may be green, black or mustard color and thrives in untreated water. When it grows on the deck around a pool/spa or on the bottom of a pool, algae poses a slipping hazard that can not be ignored. 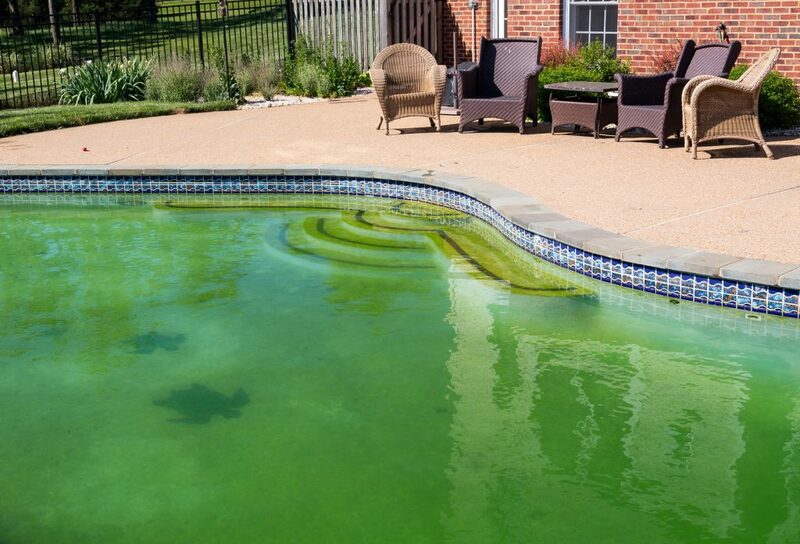 Algae at the bottom of a pool can cause a swimmer to accidentally slide into deeper water, potentially drowning. Also, algae causes water to become cloudy, which could prevent a lifeguard from noticing a drowning swimmer. While the majority of managing algae occurs through the use of algicides, there are some other ways to prevent algae from growing. 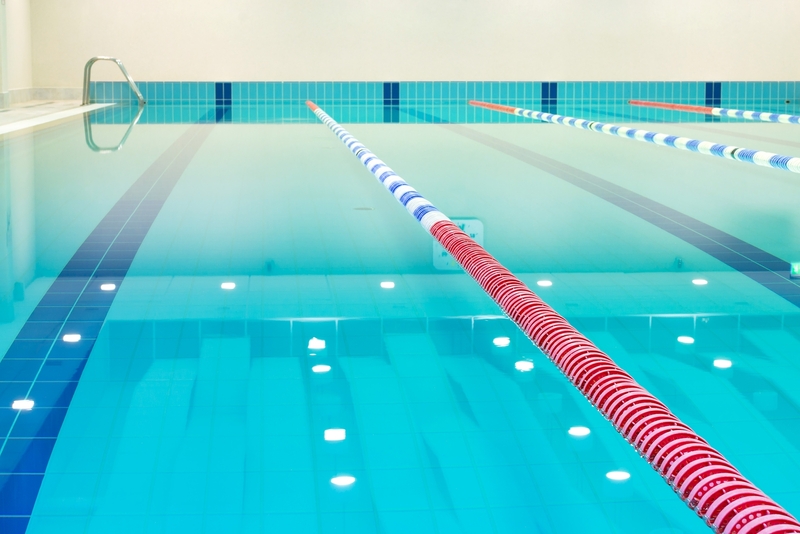 An aquatic facility should insist that swimmers shower before entering the pool. This can remove potential contaminants that support algae growth. Proper air and water filtration, circulation flow, the elimination of dead spots and routine disinfection also play a role in the prevention of algae growth. Routinely scrubbing pool/spa walls can block the concentration of algae as well. While the previously mentioned techniques help, algicide is the most effective treatment. Aquatic facilities install automatic chemical feeders, controllers and probes to ensure the correct levels of algicide are being used at all times. Pool operator training offers education on how to operate this equipment but consideration must also be taken on the best type of algicide to use at a given facility. One of the more common types of algicide are quaternary ammonium algicides, or “quats.” Quats have been used for quite some time to kill algae. The algicide is used in small doses on a weekly basis so there is always a ‘quat residual’ in the water fighting off algae. Quats contain no metals and they do not contribute to surface staining. A disadvantage of this type of algicide is the fact that it may cause foaming if too large of a dose is added or the water is agitated. Polymeric algicides are commonly referred to as “poly quats.” Poly quats have also been around for many years and, differing from quats, do not cause foaming in agitated water. 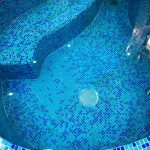 With the constant water movement in spas or splash pools, poly quats can avoid the foaming that would occur when using quats. Poly quats do not contain metals nor cause surface staining. Unfortunately, the algicide does have a positive electric charge that can cause it to attach itself to dirt and debris in the pool, making it less effective. Sometimes an algicide consists of metallic substances. Copper is most commonly used to kill algae. Copper salts like copper sulfate are added to the water to fight the growth of algae. This type of algicide is very effective against all forms of algae, especially black algae. The disadvantage of using metallic algicides is that they are not stable when they come in contact with chlorine. The algicide can oxidize from chlorine, producing black stains of the walls of a pool or spa. Copper can also bond to high concentrations of carbonate and stain plaster surfaces to a bluish-green color. It is important to note that there are other types of algicides such as ammonium sulfate, sodium bromide and sodium tetra carbonate. To learn about these chemicals and much more, you can learn from the experts at Pool Operation Management. The CPO® certification class is a great start to becoming a pool expert. Pool Operation Management’s award-winning pool operator training courses show you how to properly operate a swimming pool or spa facility. Our two-day courses offer a wealth of information and training in everything from pool chemicals, to energy conservation to risk and liability. For the very best in pool operation, contact us today.